Christopher is the founder and principal of Winston Turner Financial Planning and has been an adviser since 1988. Chris has successfully completed the Diploma of Financial Planning (DFP) through Deakin University, and has achieved the globally recognised status of CERTIFIED FINANCIAL PLANNER® professional. 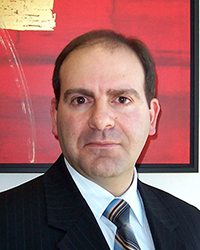 He has also completed additional qualifications with Kaplan and is a member of the Financial Planning Association of Australia (FPA). Christopher explains their philosophy. “Some people don't realise you don't need a lot of money to use a financial planner. We assist people from all walks of life and enjoy getting to know them and building relationships. Our approach is to listen and take the time to understand people’s needs so we can help them make the most of their lives now and in the future”. In addition to Winston Turner Financial Planning, Chris enjoys spending time with his wife Donna and their family. He is a passionate Demons supporter and enjoys weekends at the footy or in winter skiing as a Melbourne supporter does. Peter commenced in the banking and financial services industry in 1986. He holds a Bachelor of Business with majors in Accounting and Information Systems and a Diploma of Financial Planning and is a member of the Association of Financial Advisers (AFA). 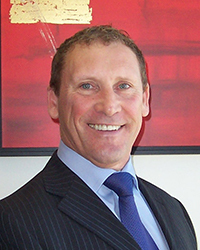 Peter is a technical specialist with expertise in financial planning strategies encompassing superannuation, investments, personal risk insurance, aged care and other areas tailored to client’s specific needs. On a personal note, Peter is married, has two children and enjoys DIY around the home, Aussie Rules and astronomy. 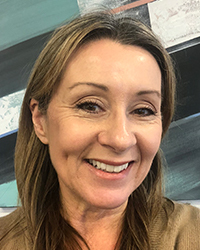 Donna commenced as Office Manager with Winston Turner Financial Planning in 2010 and she finds working with this committed team who are dedicated to securing and growing our client’s wealth, a daily pleasure. With a background in management and marketing, Donna is responsible for the office management and the administration of our client’s financial requirements. Her other joys are her family, yoga, theatre and the snow-capped mountains of Mt Buller. Annabelle joined the Winston Turner team in December of 2016 with over 10 years’ experience in first point of contact roles across Melbourne and the USA. She assists in running the daily operations of the office as well as handling all portfolio reporting. Annabelle is focused on providing an excellent client experience at Winston Turner. In her spare time, she enjoys travelling, keeping an active lifestyle and cooking. 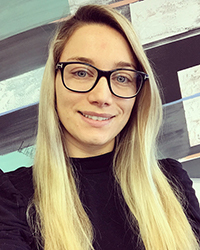 Jackie has an extensive background within accounts and finance within construction and various industries, which lead to her completion of her Dip. of Accounting in 2010. Previously Jackie was a qualified Property Manager, managing portfolios within both Residential and Commercial/Industrial Property Management. 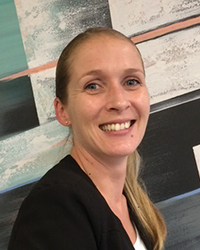 In 2014 Jackie joined the team at Winston Turner as Client Services Officer. In 2016 Jackie had her first child. Jackie now assists Chris and the team on a part time basis with administration and client reporting.